Blog — Nu-Concepts Exterior Decorating Co. 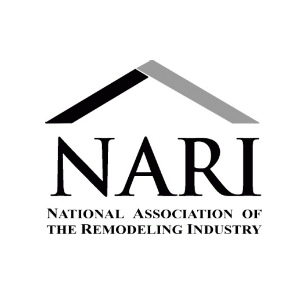 According to Remodeling Magazine, exterior remodeling offers the highest return on investment. Ranked #1 is James Hardie siding, ranked #2 door replacement and ranked #10 is window replacement. Closing in on 30 years of designed installation perfection also means our crews are licensed, experienced, insured and supervised. Don’t leave your installation to some carpenter, handyman or do-it-yourselfer. Nu-Concepts creates curb appeal and detailed quality like no other. Our business is intricate, like most. Nu-Concepts Window Company designs, installs, builds and services hundreds of products each having to be researched,so only the best reach our customers. We are experts at what we do, period, but a new area of expertise needs to be learned. The age of the computer has taken over. Pop-up ads, organic listings, paid for listings, facebook, twitter, etc. Type in window or siding and the giants pop-up. Deep pockets buy exposure on the internet, but the “diamonds in the ruff” are harder to find, and many times go unnoticed. Keywords, round about research and specialized deeper searches can expose companies like Nu-Concepts. We are a smaller company with sometimes a greater history, more product lines, more personalized service, better quality workmanship, newer innovated ideas, faster turn-a-round and we still go unnoticed. We just finished four jobs in Lake Forest, IL; they were all large jobs, where windows, doors, siding and more were involved. None of these jobs came from the internet. All were referrals, but referrals are not enough. The public needs to search deeper. An example may be that you need siding, but your house may look even better if you install a portico, cupola or a pergola also. Search portico, pergola or cupola instead. Specialized companies will show up. You may be surprised to find a better company at a lower price. Rumor has it that James Hardie will soon be the only U.S. based manufacturer of fiber-cement siding. 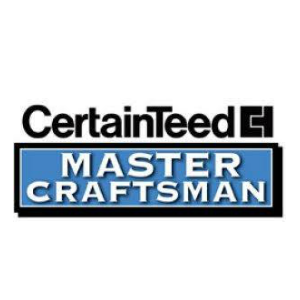 The leader, and in my opinion, the best producer has taken over as Certainteed, may be selling their fiber-cement division to Mextel, a Mexican producer. I do not know how this will affect the market place, but I think if you are interested in replacing your siding with James Hardie, act now as I do not see the lessening of competition as a reason for James Hardie to feel the need to “lower its prices”. The temptation to increase pricing without a direct U.S. competitor may be coming. Also, a winter install is less expensive as most installers are more willing to lower their margins when business is slow. Nu-Concepts included. If the rumor is false, so what, you have acted at a time when price can be negotiated. Winter has its benefits. Call us to ask why. This extreme cold (January 4th thru 8th, 2014) drastically illustrates the need for replacement windows. Nu-Concepts received of this four day period about an 80% increase in inquiries about ice forming on old wood or metal windows.The frost on metal patio door frames, especially expresses the need for warmer, cozier, more efficient product. Climate Solutions vinyl windows coupled with your insulated technique of installing will eliminate this winter villain in an inexpensive practical way. Whose web ad should you pick? Being on the top doesn’t necessarily mean their the best, it only means there paying Google the most for hits. The giants spend more to advertise, so to be price competitive, they must spend less on labor or material or charge you more to keep their margins. So again when scrolling for windows, doors, or siding who do you call or who’s website should you be driven to? Think about this with logic. If you believe all window and siding companies are equal in product and installation quality, pick anyone and go with the lowest price. If you believe some companies may use finer quality material, better labor, and better supervision and may be more knowledgeable concerning you needs, than a little research may be necessary. For example, should you only research vinyl windows versus wood or fiberglass windows? Should you only research vinyl siding or should you learn about James Hardie, LP smart siding or cedar as an alternative. Will the company take into consideration the location, architecture, value of your home, when trying to sell you product for all needs. your looking a little deeper into who you call. Sometimes smaller more specialized companies may be more attractive and more competitive. I know when I call a company; I want to speak to a person who actually is involved. I hate being shuffled from one department to the next for information. Getting a person on the line that can help is important. It is rapidly approaching the 2013/14 ice age here in the Chicagoland area. That means icicles and ice damning. Every year Nu-Concepts receives calls from potential customers who think because their windows are leaking, they need new windows. Usually this is not the case. Ice forms on the roof and leaks down into the soffits. From there it moves down the outside wall under the siding, hits the windows and drips in. Simple solutions are available. First, rake snow off the problem areas. They sell long extension rakes at the hardware stores. Second, heating coils in your gutters and downspouts. Finally, when replacing your roof make sure to get ice and water shield and make sure the installing company wraps the edge where your roof decking meets your fascia board, so no water or ice can leak in. Upon request, Nu-Concepts will supply a reprint of one of many articles written on the subject. Just supply us with your e-mail address and we will e-mail you the articles we have in our reference materials. For the last 25 years, Nu-Concepts Window Company has been striving to bring our customers the finest quality possible. Product selection includes the following brands. Marvin windows, Climate Solutions, vinyl windows, Alside vinyl windows, Thermal Industries vinyl windows, Jeld-Wen wood windows, Ply-Gem vinyl windows, James Hardie fiber cement siding, LP Smart siding, all Certainteed brand vinyl siding, cedar siding, Halquist quarry stone, Stonecraft cement stone, mastic vinyl siding, Norandex vinyl siding, HB&G columns, Azek fencing and decking, HB&G fencing, fypon, mouldings and all our limber comes from Evanston Lumber. We are among the few companies to offer designed first installations to include custom pergolas, porticos, cupolas, flowerboxes, Simpson and Therma-Tru doors. We are to bold, we sometimes even offer our opinions on landscaping, although we do not install. Now we developed a system of window insulation in areas where sound is a factor. We call it “fiberfoamsalation”. It is a process where we provide a tighter, thicker, less porous insulation to help reduce sound and vibration. It is better for high traffic areas, airport noise, train vibration and noise. Early on it seemed we were the only company installing siding and windows in Arlington Heights. We literally have completed jobs on every street. 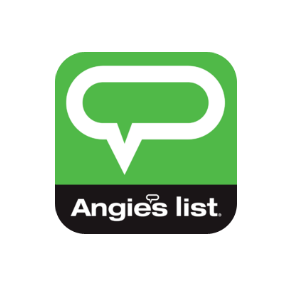 Our job list for Arlington Heights lists over 1,000 jobs. The Daily Herald ran two major full page editorials about Nu-Concepts. The referrals were coming in one after another. This went on for about ten years and then slowly shifted to Barrington. Why, I don’t know. The Fox Point area of Barrington slowly started to take over. Now, it seems Lake Forest is slowly discovering why Nu-Concepts can be so successful working and staying in one area. Rave reviews, referral and neighbors noticing the difference quality can make. It is fascinating how Nu-Concepts Window and Siding Company keeps getting rediscovered. I love Lake Forest. The people are receptive to our old fashioned approach to making their home look original again. (Note I said original not new) Charm is essential! We just recently completed a job on Beverly using 9 ¼ James Hardie siding, white smooth clapboard. It turned out gorgeous, totally appropriate for an antebellum style colonial. The columns were completely rebuilt and we added louvered southern style shutters. Lake Forest here we come! Be on the lookout. We are about to start jobs on Harlan Court, Green Bay Road and East Linden. Big business has a formula for figuring out their profit margins and they need to operate at those levels to stay profitable. The more they spend on advertizing, rent, salaries etc. the more you as the consumer pay. It is simple math. Once again I was in a home in Lake Forest and the homeowner asked if he could finance 1 year same as cash. Wealthy man very successful lawyer. I said you know you are paying interest on that 1 year and he responded not if I pay it in 1 year or before. OK, the window company buys the window from a manufacturer. They have to pay for it. No other way. Now that company put the window into your home and they must pay for labor to do that. Now, they have paid for labor and material. No other way. They cannot wait a year for their money, no ones that rich; they bring that contract to a finance company and borrow the money at around 10% interest. Who pays that 10%? Not the company, they need to maintain that profit margin I referred to. You, the consumer, pay – it is the price. On top of that, if you the consumer doesn”t pay 1 year or sooner the interest you pay is retro-active at probably over 20%. Where is the deal? Nu-Concepts has no gimmicks. 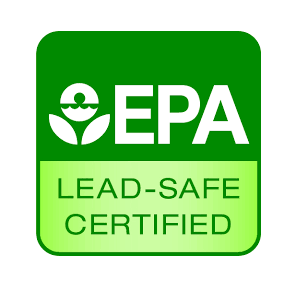 We can compete in price with anyone and we are a complete exterior design company, not just windows (Marvin and Climate Solution), not just siding (James Hardy, Certainteed, LP Smart side, cedar and more). We do porches, porticos, pergolas, shutters, doors, trim, gutters, soffit, fascia, cupolas, flowerboxes, columns, great ideas and more. If the economy slumps as it has in the recent years these fixed expenses can put you out of business. To cope with this dilemma sometimes these companies must resort to higher prices, high pressure sales and techniques and cheaper labor and material. Nu Concepts Window Co has been in business for 25 years. Most of our business if from referrals. How many companies can make that statement? We have used the same installers (who know and understand our design concept) for a minimum of 12 years. One crew has been with us since the beginning. Installing James Hardie Board Siding, Marvin Windows, building Porticos and Pergolas and creating curbside appeal takes skill. We have outlasted several of our vendors and many of our competitors. Designing exteriors for over 25 years should make us one of the premier choices for obtaining an estimate..